← Free on Amazon The Dark Huntsman! It’s November and it’s time again for thousands? millions? 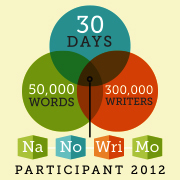 of people to start writing their novels with Nanowrimo. (National Novel Writing Month). Sadly, this year I will not be participating (too many edits on Prince by Blood and Bone, book two in my fantasy romance series) but next year I am determined to be ready with an outlined novel and have the time and energy to get it won! WOOT! The funny thing about not doing Nanowrimo this year is that, even though it’s completely my decision, even though I have tons to do and no time to really devote to writing anything new during November, I still have Nano Envy. I want to be Nano-ing. I am missing out on all the fun. All the writing parties, the prizes, the enthusiasm. I want to be curled up like Jo in Little Women, pen in hand, stocking cap on, scribbling away on my fantastic work of fiction with little thought to literary merit. Writing whatever wild mysterious story pops in my head, just because it’s fun. That’s the magic of nano. You can pre-plan your story, but you are perfectly able to wing it. To sit down and type without fear or constraints. Without fear of judgement. Without planning on having anyone look at what you are writing. That’s why I think everyone, readers, non-readers and all kinds of writers should attempt Nanowrimo. You never know until you try how difficult it can be to get words on the page and how exhilarating it is when they flow like a river from your keys to the page. Even if when you go back and read them in December they aren’t quite as stellar as when you wrote them. I first attempted Nanowrimo when it was in its infancy. The internet was a rough place, everyone used “Got Mail” and no one had even heard of Facebook. I didn’t sign up on the site, I just tried to write, but kids and life interfered and I didn’t get very far. But it planted a seed. Maybe I could do this. Someday. Maybe I could write an entire 50,000 word book in a month. Well years later and several completed books later I have yet to write that many words in one month. But last year I wrote over 30,000 and that’s pretty good. Two months like that and you have a novel. One month of that and you have Goldi and the Bear, novella extraordinaire! What could you do in one month of writing? 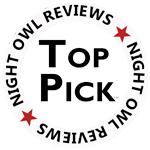 Have you ever attempted to write a novel? What did you learn about yourself? Did you wing it or did you plot out the entire book? I did Nano 3 or 4 years ago and I thought it was HELL! But I’ll say this, maybe I’ll attempt it again next year. I’m not sure it’s for everyone, but I think it is a good exercise. Especially for writers. 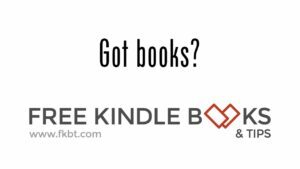 And why not for readers too? One NaNo was enough for me. Happy to say. I made it! WOOT! Making it is amazing. I do like to attempt it, but I never seem to get all the way there. Next year!